Prof Yaseen Arabi's current appointments include Chair and Consultant in the Intensive Care Department, and Medical Director of Respiratory Services, King Abdulaziz Medical City; and Professor, King Saud Bin Abdulaziz University, Riyadh, Kingdom of Saudi Arabia. He is also the current Fellow of the American College of Critical Care Medicine (FCCM) and the American College of Chest Physicians (FCCP). His qualifications include an MD from Damascus University School of Medicine, Syria. After completing his MD, Prof Arabi undertook a postdoctoral period from 1992 to 1994 at Wayne State University School of Medicine in Detroit, Michigan, USA. He was appointed as a chief medical resident from 1994-1995. Then he completed Pulmonary and Critical Care Fellowship at the University of Wisconsin in 1998. In 1998 Prof Arabi moved to Riyadh, in the Kingdom of Saudi Arabia to take up a position as a Consultant in the Intensive Care Department of the King Abdulaziz Medical City. In 2007 Prof Arabi became Chair of the Intensive Care Department. He has an international reputation for quality research in the field of critical care and has published extensively (>140 papers) including three publications in the prestigious New England Journal of Medicine. One of these was in collaboration with the ANZIC-RC (Cooper DJ, Rosenfeld JV, Murray L, Arabi YM, et al. Decompressive craniectomy in diffuse traumatic brain injury. N Engl J Med. 2011;364(16):1493-502). Prof Arabi received several prestigious awards including the Barry A. Shapiro Memorial Award for Excellence in Critical Care Management from the Society of Critical Care Medicine (SCCM), USA in 2011. Prof Cécile Aubron is a French intensive care physician who was the ANZIC-RC's Senior Research Fellow (SRF); in 2010 and a SRF at the ANZIC-RC with the Blood-CRE from 2013 to 2014. In 2010 Prof Aubron was actively involved in the ANZIC-RC's "Age of Blood" research project including the feasibility pilot study in preparation for the large randomised controlled trial (RCT) and the publishing of the pilot study. Prof Aubron was an Associate Investigator on the ANZIC-RC's successful $2.7m NHMRC grant, STandaRd Issue TrANsfusion versuS Fresher red blood cell Use in intenSive carE (TRANSFUSE) RCT. In 2011 she was the co-recipient of The Alfred ICU - Monash University Research Fellowship. Since 2015, Prof Aubron has worked as an Intensivist in the Service de Réanimation Médicale, Centre Hospitalier et Universitaire de Brest (Medical Intensive Care Unit, Teaching Hospital/University affiliated hospital) in Brest, France. Prof Aubron originally trained in Paris, France, and her qualifications include a Master's degree in Microbiology; an MD; and a PhD entitled "Study of the Escherichia coli metabolic polymorphism, involvement in adaptation and virulence". Prof Aubron has published 7 book chapters and 20 papers in international refereed journals on topics such as blood, infectious diseases, including pandemic (H1N1 (2009) influenza epidemic) research, and pharmacokinetic modeling research. She has delivered conference presentations in France, Senegal and Australia. Prof Tracey Bucknall is an Alfred Deakin Professor in the School of Nursing and Midwifery at Deakin University, and Director of Nursing Research and Head of the Centre for Patient Safety Research-Alfred Health. For more than a decade, her practice specialty was critical care, where she held a variety of clinical, educational and research appointments. She is an Adjunct Professor at Monash University, Bangor University, United Kingdom and the University of Southern Denmark, Denmark. Since 2005, Prof Bucknall has held joint clinical and academic appointments that have enabled her to conduct research that focuses improving clinical decision making and patient safety, alleviating patient symptoms, enhancing patient and family experiences, and increasing the uptake of research evidence in practice. As a decision scientist Prof Bucknall has successfully obtained more than $13m in competitive research funding, presented her research nationally and internationally, and published over 200 scholarly publications in critical care, pain, nursing and knowledge translation. Prof Bucknall currently serves on the Australian Commission for Safety and Quality in Health Care (ACSQHC) Clinical Communication Advisory Committee, NMHRC Grant Review Panels and as a Board Director for Royal Freemasons Aged Care. In 2017, she was awarded the title of Alfred Deakin Professor, the highest award granted to Professors at Deakin University, and in 2019 inducted into the Sigma Theta Tau International Honor Society of Nursing, International Nurse Researcher Hall of Fame for her significant contribution to research. Dr Burrell is an Intensivist, clinician researcher, and critical care ultrasonographer. He is an Intensive Care Consultant at The Alfred Hospital with a broad range of experience working with patients with severe cardiac and respiratory failure, thoracic transplantation and in the use of ECMO in the critically ill. Dr Burrell completed a fellowship in heart failure and cardiac transplantation in 2012. He has advanced critical care ultrasound and echocardiography qualifications, and is a member of the echocardiogrpahy service at The Alfred Hospital. He is also an active member of The Alfred ECMO research and clinical care special interest group. His areas of research interest have included advanced management of heart failure in the critically ill, focusing particularly on mechanical heart supports such as ECMO and ventricular assist devices. Prof Capellier was a Visitor at the ANZIC-RC for one year (2011-2012) when he was on sabbatical from the Université de Franche-Comté, Besançon, France where he runs a critical care and emergency department, is a member of the Board of the Medical Faculty, and a Professor of Intensive Care Medicine. His qualifications include an MD; certification as a Critical Care Physician from the Hôpital Claude Bernard, Paris; a Master of Science degree in Respiratory and Circulatory Physiology and Pathophysiology (Thesis title: Pulmonary neutrophils accumulation during peritonitis induced by cecal ligation and perforation); and a PhD (Thesis title: Pulmonary oxygen toxicity - demonstration of clinical and experimental tolerance). Professor Capellier's main research foci are Acute Respiratory Distress Syndrome (ARDS), oxygen toxicity tolerance, and ICU management of ARDS including extracorporeal membrane oxygenation (ECMO). He is also interested in ICU organisation and quality-safety in care. His experience includes a year as a Clinical Fellow and a Clinical Research Fellow at the Toronto General Hospital, Canada. Professor Capellier has published over 90 peer-reviewed papers and book chapters including in the prestigious journals JAMA and the American Journal of Respiratory and Critical Care Medicine. He has also been an invited speaker at numerous international and national conferences. Prof Chapman is a Senior Staff Specialist in Intensive Care Medicine at the Royal Adelaide Hospital and a Clinical Associate Professor in the School of Medicine at the University of Adelaide. Her primary degree was from Flinders University of South Australia, graduating in 1982. She trained as an anaesthetist in Plymouth in the UK and worked in Kenya for 12 months before returning to complete intensive care training in Adelaide in 1990. She then spent a further year working in the Hadassah Hospital in Jerusalem in 1993/94. She has a PhD from the University of Adelaide which involved the investigation of abnormalities in gastrointestinal motility underlying problems with the administration of nutrition to the critically ill. She has been the Director of Research in the ICU at the Royal Adelaide Hospital (RAH) since 1998 and is the Chair of the RAH ICU Research Committee. She is also a member of the Board of Examiners of the College of Intensive Care Medicine and is involved in a number of other committees including the Formal Project Assessment Panel - College of Intensive Care Medicine. Her clinical research interests include gastrointestinal dysfunction underlying problems with the administration of nutrition, and glucose metabolism in the critically ill. This work is the result of a very successful collaboration with the Departments of Medicine and Gastroenterology in the University of Adelaide, the Royal Adelaide Hospital and the Repatriation General Hospital, and forms part of a Centre of Clinical Research Excellence grant from the NHMRC awarded in 2012. She currently supervises PhD students undertaking clinical research in the ICU at the Royal Adelaide Hospital. She has published over 100 journal articles, received over $2 million in research funding, and has given invited presentations at national and international meetings. Dr Luca Cioccari is an Intensive Care clinician and researcher from Switzerland. Dr Cioccari specialised in Internal Medicine and Intensive Care, and completed his training at the Austin Hospital in Melbourne. He is an Adjunct Senior Research Fellow with the ANZIC-RC and an Associate Research Fellow with the University Hospital of Bern, Switzerland. He is a member of the European Society of Intensive Care Medicine (ESICM). Dr Cioccari has a strong research interest in haemodynamic management, neuro-monitoring, pharmacology and toxicology, and glucose control in critically ill patients. Dr Coulson recently returned to Australia to work as a cardiothoracic anaesthetist. Prior to that he was a Consultant in Cardiothoracic Anaesthesia, ExtraCorporeal Membrane Oxygenation and Intensive Care at Papworth Hospital, Cambridge, UK. His PhD thesis entitled "Acute Risk Change – measuring perioperative quality of care in cardiac surgeryl" was completed at Monash University under the supervision of Professors David Pilcher, Michael Bailey and Chris Reid. Dr Coulson’s research interests include measuring perioperative quality of care in cardiac surgery, renal outcomes after cardiopulmonary bypass, and donation after cardiac death. Dr Delaney is a Fellow of the Australasian College for Emergency Medicine (ACEM) and College of Intensive Care Medicine (CICM). Dr Delaney has a Master of Science degree in Clinical Epidemiology from the University of Calgary. He is a Staff Specialist in the Malcolm Fisher Intensive Care Unit at the Royal North Shore Hospital. Dr Delaney was on the Management Committee of the ANZIC-RC's ARISE study. Dr Diehl is currently the fellow in extracorporeal membrane oxygenation (ECMO) at The Alfred Intensive Care Unit. A newly created role to support the ECMO service at The Alfred in the clinical application of ECMO, teaching and research. He is the site investigator in a prospective study focused on the change of pharmacokinetics of common sedatives and antimicrobials through the initiation of ECMO. Other projects include an analysis of troponin values in trauma in the era of high-sensitivity troponins and the utility of tissue oxygen monitoring in veno-arterial ECMO patients. Andrew Flint is a Medical Officer with the Royal Australian Navy. His diverse qualifications include a Bachelor of Engineering (Honours), a Bachelor of Economics (Honours) and a Bachelor of Medicine/Bachelor of Surgery. Andrew is currently doing his PhD in collaboration with the ANZIC-RC and Blood-CRE in the field of platelet transfusions, and he has published in several critical care and transfusion medicine journals. Dr French is a specialist Intensive Care Physician and Anaesthetist. He is the Director of Intensive Care at Western Health, Melbourne, Australia; a Clinical Associate Professor of the University of Melbourne; and Chair of the Australian and New Zealand Intensive Care Society Clinical Trials Group (ANZICS-CTG). His research focuses on the effects of blood transfusion in critical illness; fluid management in critical illness; trauma; guideline development and translation of research; and the design and conduct of large clinical randomised controlled trials in the critically ill.
Dr Kruger is the Deputy Director of Intensive Care at the Princess Alexandra Hospital in Brisbane and Associate Professor of Anaesthesia and Critical Care at the University of Queensland. He is a member of the Executive of the Australian and New Zealand Intensive Care Society Clinical Trials Group (ANZICS-CTG) and a current examiner in both the Anaesthesia and Intensive Care college primary examinations. He has an interest in clinical and laboratory research and is the chief investigator of the NHMRC funded, CTG endorsed STATInS trial, A phase II randomised controlled trial of atorvastatin therapy in intensive care patients with severe sepsis. His research interests include drug behaviour in critically ill patients, the role of statin therapy in patients with sepsis, antibiotic therapy in critical illness and body fluid dynamics. Lorraine was the Senior Project Manager for both the NHMRC funded TARGETNutrition Study (NEJM 2018) and the EPO-TBI Long Term Outcome (EPO-TBI LTFU) Study; and was also the Senior Project Manager for the Nutrition Prescription Point Prevalence Audit for New Zealand sites. Lorraine is a management committee member of the TARGET Protein Feasibility Study (The effect of protein dose on clinical outcomes in critically ill patients: A prospective, blinded, parallel group, randomised controlled, feasibility trial). In 2009, Lorraine joined the ANZIC-RC team as the, now completed, NHMRC and TAC funded EPO-TBI (Erythropoietin in Traumatic Brain Injury) (Lancet 2015) Study. She also managed the completed RACE Feasibility Study (Rapid and accurate categorisation of critically ill patients to identify outcomes of interest for longitudinal studies) (Anaesth Intensive Care 2017). Previously, Lorraine held the position of Safety Officer for the completed ARISE Study. Lorraine has extensive experience in the critical care environment as a clinical ICU nurse. Lorraine has 18 years’ experience in the fields of cancer and critical care research. Her area of particular interest and expertise is in bioethics in which she completed a Master of Bioethics degree in 2000. Prior to her appointment with the ANZIC-RC, Lorraine worked at The George Institute for International Health as a Clinical Research Associate. Her previous roles include Research and Ethics Manager at Eastern Health, Ethics Submission Coordinator for Cancer Trials Australia, and ICU Research Coordinator at Western Health Intensive Care Unit..
On 28 February 2019, Lorraine retired after a 40 year career in nursing and research. Nora Luethi is an Intensive Care Specialist from Switzerland who was a Senior Research Fellow at the ANZIC Research Centre in the School of Public Health and Preventive Medicine at Monash University in 2017/2018. Nora completed her clinical training in Internal Medicine and Intensive Care Medicine in Switzerland and Australia. She worked with some of the most influential experts in intensive care in both countries and published successfully with academic teams at various institutions. From 2014 until 2016 she worked as a Research Fellow in the Department of Intensive Care Medicine at the Austin Hospital, Melbourne, under the supervision of Professor Rinaldo Bellomo. Among other projects, she started a multicentre randomised controlled trial assessing the immunomodulatory effect of Aspirin in patients with septic shock (PROTECTIN). Nora's research focuses on new treatment strategies in critically ill patients with diabetes, and she is passionate about improving outcomes and the quality of life of intensive care survivors. While at the ANZIC Research Centre Nora focused on long-term outcomes of the patients of the EPO-TBI trial, as well as several other projects. Dr Colin McArthur is Clinical Director, Department of Critical Care Medicine, Auckland City Hospital; Medical Advisor - Quality & Safety, Auckland District Health Board; and Honorary Clinical Lecturer, Department of Surgery, University of Auckland. He is also the Chair of the Australian and New Zealand Intensive Care Society Clinical Trials Group (ANZICS-CTG) and its representative on the ANZIC-RC Advisory Board. He trained in medicine in Auckland and is a Fellow of the College of Intensive Care Medicine (FCICM) and a Fellow of the Australian and New Zealand College of Anaesthetists (FANZCA). He has been an investigator in 24 investigator-initiated studies (and also 16 commercial studies) and an author of 35 publications, mostly multi-centre clinical intensive care research. Since 2001, he has been on the management and/or writing committee of eight NHMRC or HRCNZ-funded studies, five of which have been completed and published in the New England Journal of Medicine and three are on-going. He is an investigator on several current ANZIC-RC studies including the ARISE, INFINITE, EPO-TBI and POLAR studies. He was also an investigator on the ANZIC-RC's now completed STATINS study. His interests include research methodology and ethics, traumatic brain injury, sepsis, nutrition, and severe influenza. In 2018 he was awarded the Health Research Council of New Zealand’s Beaven Medal for excellence in translational health research for clinical research trials that have changed guidelines and practices in intensive care units around the world. Dr Shay McGuinness is Director of Research at the Cardiothoracic and Vascular Intensive Care Unit (CVICU), Auckland City Hospital, New Zealand, and Clinical Director of the Air Ambulance Service, Auckland District Health Board. Dr McGuinness is the New Zealand representative on both the ANZIC-RC's Advisory Board and the Australian and New Zealand Intensive Care Society Clinical Trials Group (ANZICS-CTG) Executive, and is also the Chair of the ANZICS-CTG Capacity Working Group Sub-committee. Dr McGuinness trained at medicine and surgery in Sheffield, United Kingdom. He has published more than 25 journal papers including articles in New England Journal of Medicine (NEJM) and Journal of the American Medical Association (JAMA). He has been a Principal or Co-investigator on peer reviewed research grants exceeding (NZ)$2.9 million including 5 NZHRC grants. His research interests include randomised clinical trials in non-invasive ventilation and renal failure. Dr McGuinness is a member of the Management Committees of the ANZIC-RC's PHARLAP-RCT and Supplemental PN trials. Dr Morganti-Kossmann is an Adjunct Associate Professor at the ANZIC-RC. In 1984 she obtained a doctoral degree in Biology from the University of Rome "la Sapienza", Department of Biochemistry and Istituto Superiore di Sanità (National Institute of Health) Rome, Italy. After completing her doctoral thesis, Dr Morganti-Kossmann undertook a postdoctoral period at the Cancer Institute Regina Elena in Rome. In 1987 she was awarded a fellowship by the Boehringer Ingelheim Fund, which allowed her to work at the prestigious Institute of Neurobiology lead by Prof M Schachner at the University of Heidelberg, Germany. In 1989 she worked for 2 years as a guest researcher at the Div. Cellular Immunology, NIDR, National Institutes of Health, Bethesda, USA. Upon her relocation to Switzerland, in 1991, Dr Morganti-Kossmann established her own neurotrauma research group at the University of Zurich, where she began working in neurotrauma research. There she developed comprehensive studies to characterise neuroinflammatory processes and biomarkers of brain injury in patients with severe traumatic brain injury. This novel bench-to-bed-side research allowed her to extend the clinical studies with experimental models of focal and diffuse TBI and glial cultures to deepen the functional role of cytokines and immune cells. In 1998 Dr Morganti-Kossmann was nominated Group Leader within the Institute of Neuroscience of Zurich established by Prof M Schwab. In 2001, she moved to Melbourne to work at the Department of Trauma Surgery of the Alfred Hospital as a Senior Neuroscientist. Over the past 13 years, Dr Morganti-Kossmann has been instrumental in expanding neurotrauma research in Melbourne including successful large collaborative program grants funded by the Transport Accident Commission (Victorian Trauma Foundation and Victorian Neurotrauma Initiative). She had a pivotal role in the establishment of the National Trauma Research Institute at the Alfred Hospital in which she was Head of Basic Research from 2004 until 2012. In 2006, Dr Morganti-Kossmann was appointed Associate Professor at Monash University and Honorary Senior Research Fellow at the Centre for Neuroscience of Melbourne University. In 2008 she was awarded the only 3-year Senior Research Fellowship given in Victoria by the Victorian Neurotrauma Initiative. Over the past years she served as an executive member of various scientific advisory boards (Neurosciences Victoria, and AMREP, among others). She has been an advisor on basic brain trauma research during the establishment of the Victorian Neurotrauma Initiative. In 2012 she was appointed Research Associate Professor at the Department of Child Health, Phoenix Children's Hospital, University of Arizona, Phoenix, to join the Translational Neurotrauma Research Program at the Barrow Neurological Institute where she pays extended visits every year. 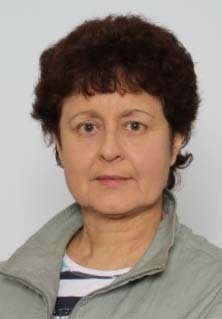 Dr Morganti-Kossmann published 80 research articles, 16 reviews and 17 book chapters with a total of >4300 citations and H index=39 (Scopus since 1995). She has been an invited speaker in numerous international and national conferences including multiple lectures given at the biennial International Neurotrauma Symposia. She contributes to the research activities of the ANZIC Research Centre with a sub-study of the Erythropoietin Randomised Clinical Trial in patients with moderate and severe traumatic brain injury to assess the validity of biomarkers of brain injury as early predictors of long-term outcome. Prof Myburgh is an Enabling Grant Chief Investigator and a foundation member and past Chair of the ANZICS Clinical Trials Group (ANZICS-CTG). He is the Director of the Division of Critical Care and Trauma at The George Institute for Global Health and Professor of Critical Care at the University of New South Wales. He holds honorary professorial appointments at the Universities of Sydney and Monash. He is a senior physician in the Department of Intensive Care Medicine at St George Hospital, Sydney. He has been involved in laboratory and clinical research since 1989. He has received over $18M in NHMRC funding, $8M in international grants, $1M in institutional grants and $8M in unrestricted commercial grants to a total of $36M since 2000. He published over 100 original articles, including 4 papers in the New England Journal of Medicine, and 20 book chapters. His research interests include catecholamine pharmacodynamics, traumatic brain injury, fluid resuscitation and endocrine homeostasis in critical illness. He has delivered over 20 plenary lectures at international meetings. Current research activities include large-scale trials of fluid resuscitation (CHEST), steroids in septic shock, glycaemic control and thermoregulation in critical illness. He has established postgraduate research programs at the George Institute for PhD and MPH students through the Universities of New South Wales and Sydney. In addition to his research activities, he has a long-standing involvement in education and is the current President of the College of Intensive Care Medicine. Within the College, he established an independent Annual Scientific Meeting in 2005 and served as a fellowship examiner for 12 years. Ms Newby is the Senior Research Coordinator in the Department of Critical Care Medicine and the Clinical Nurse Specialist (Multiple Sclerosis) in the Department of Neurology, Auckland City Hospital, New Zealand. She is a Management Committee Member on the ANZIC-RC's Prophylactic Hypothermia Trial to Lessen Traumatic Brain Injury (POLAR) Randomised Controlled Trial and a Monitor for the Australasian Resuscitation In Sepsis Evaluation (ARISE) Randomised Control Trial for the study's New Zealand sites. Since 1997, she has been involved in clinical research in critical care at Auckland City Hospital. Prior to that Ms Newby gained more than a decade of experience in intensive care nursing in New Zealand, the USA, Zimbabwe, Saudi Arabia, the United Kingdom, Australia and Hong Kong. Ms Newby has been an author/investigator on a number of publications, mostly multi-centre clinical intensive care research, including publications in prestigious journals such as the New England Journal of Medicine. Ms Newby is a member of the Auckland Regional Management Committee of the New Zealand Nurses Organisation - Critical Care Nurses Section (NZNO-CCNS). Dr Parke is the Nurse Senior Research Fellow in the Cardiothoracic and Vascular Intensive Care Unit at Auckland City Hospital, New Zealand. She was awarded the degree of Doctor of Philosophy in 2014, and is currently leading a program of research investigating the effects of fluid management following cardiac surgery. She has published over 50 articles and been an investigator on peer reviewed research grants exceeding NZ$3 million. Rachael is the current Secretary of the ANZICS Clinical Trials Group Executive Committee and Chair of the ANZICS Intensive Care Research Coordinators Interest Group. Research interests include oxygen therapy, cardiac surgery associated acute kidney injury and enhanced recovery after thoracic surgery. Prof Peake is a Senior Intensive Care Clinician in the Department of Intensive Care Medicine at The Queen Elizabeth Hospital, Adelaide and an Associate Professor in the School of Medicine at the University of Adelaide. She is Chair of the Intensive Care Foundation Scientific Committee, Chair of the Research Committee for the Acute Care Medicine Discipline at the University of Adelaide and a member of the Australian and New Zealand Intensive Care Society Clinical Trials Group (ANZICS-CTG) Executive Committee. She has been an examiner for the College of Intensive Care Medicine for the past 8 years. In 2000, she completed her PhD in Medicine at the University of Adelaide in the field of sepsis. Her thesis examined the role of combination anti-cytokine immunotherapy in an animal model of septic shock. Her main research interest now is large-scale, randomised clinical trials in critical care. She is currently Chair of the Management Committee for the NHMRC-funded, CTG-endorsed Australasian Resuscitation In Sepsis Evaluation (ARISE) multi-centre trial of early resuscitation in sepsis. She is also member of the Management Committee for the NHMRC-funded, CTG-endorsed multi-centre clinical trial of Early Parenteral Nutrition. Prof Pettilä was the ANZIC-RC's Senior Research Fellow in 2009. Prof Pettilä was a Chief Investigator for the INFINITE Study, and is currently involved with a number of the ANZIC-RC's studies including TRANSFUSE and EPO-TBI, and was the Principal Investigator in Finland of the ARISE-RCT Study. In Finland, Prof Pettilä is the Head of Intensive Care at Helsinki University Hospital and Professor of Intensive Care Medicine at the University of Helsinki. He has published >290 papers in peer-reviewed journals including original manuscripts in the New England Journal of Medicine, Journal of the American Medical Association, British Journal of Haematology, Stroke, Intensive Care Medicine, and Critical Care Medicine. He was a member of several European multi-centre randomised trials in critical care including as Principal Investigator for Nordic countries in the Tissue Factor Pathway Inhibitor in Severe Sepsis trial. Prof Pettilä has also contributed to the Finnish Clinical Guidelines in severe sepsis in adults and acute kidney injury. He has supervised 8 dissertations at Helsinki University with topics including "APRV", "Acute renal failure in critically ill patients", "Severe sepsis in Finnish ICUs", "Hemodynamics and outcome in septic shock", and "Biomarkers in acute respiratory failure". Prof Pilcher has worked as an Intensive Care Specialist at The Alfred Hospital in Melbourne since 2006. He trained in respiratory and general medicine in the United Kingdom before coming to Australia to complete his Intensive Care fellowship in 2002. Prof Pilcher is Director of the ANZICS Adult Patient Database and Chair of the Australian and New Zealand Intensive Care Society Centre for Outcome and Resource Evaluation (ANZICS-CORE). He holds an Intensive Care Practitioner fellowship with Monash University. His research interests include organ donation, lung transplantation and the epidemiology of intensive care unit outcomes. Dr Presneill is a Senior Staff Specialist, Department of Intensive Care Medicine, Royal Melbourne Hospital; an Associate Professor at the University of Melbourne; and Adjunct Associate Professor at Monash University. Dr Presneill trained in respiratory medicine and intensive care then completed a doctoral thesis on aspects of the human immune response in severe sepsis and septic shock. Dr Presneill also undertook training in biostatistics and is an enthusiastic supporter of the Biostatistics Collaboration of Australia. He is involved in several large clinical studies through the Australian and New Zealand Intensive Care Research Centre (ANZIC-RC). Prof Reade became the inaugural Australian Defence Force (ADF) Professor and Chair of Military Medicine and Surgery at the University of Queensland in 2011. An anaesthetist and intensivist, he also holds a clinical appointment at the Royal Brisbane and Women's Hospital and military appointments at both the ADF's Joint Health Command and the 2nd General Health Battalion of the Australian Army. He has >100 publications across the breadth of intensive care research, from applied molecular biology to statistical methodology and clinical trials. He is one of few intensivists with postgraduate qualifications in both basic science (doctorate University of Oxford) and statistics / epidemiology (MPH University of Pittsburgh). He has established collaborations with military medical research groups in the UK and USA looking at trauma systems design and novel therapies for blast injury and exsanguinating haemorrhage. In 2015 he completed a 15-hospital randomized controlled trial of dexmedetomidine as a treatment for critical illness agitated delirium. He is a chief investigator on NHMRC project grants totaling approx. $12M. He has deployed to Bosnia and Kosovo (on attachment to the British Airborne Brigade) and to East Timor and the Solomon Islands. In 2009 he was the clinical director of the NATO hospital, Tarin Kot, Afghanistan; in 2013 he was the Officer Commanding the Australian Specialist Health Group at the US Navy hospital in Kandahar, Afghanistan; and in 2015 he was the first Director of Clinical Services of an ADF hospital deployed on war-like operations. With the rank of Colonel, he is the Director of Clinical Services of the Australian Regular Army's only deployable hospital. Dr Schmidt is an intensive care specialist in the Service de Réanimation Médicale, Institute of Cardiometabolism and Nutrition (iCAN), Groupe Hospitalier Pitié-Salpêtrière in Paris, France. His qualifications include an Advanced Master's degree in Respiratory Physiology (2009), a Diploma of Cardiac Ultrasonography (2010) and a Diploma in Artificial Ventilation (2008). For three years Dr Schmidt worked as an intensive care registrar in the medical intensive care units in La Pitié Salpêtrière hospital in Paris led by Pr Jean Chastre, Pr Alain Combes and Pr Thomas Similowski. He is a member of the French Speaking Society of Intensive Care (SRLF) and the European Society of Intensive Care Medicine (ESICM). Dr Schmidt's research interests include patient-ventilator interaction and extracorporeal membrane oxygenation, and he has >30 papers published in international refereed journals and 4 book chapters on these topics. Dr Schmidt was a Visiting Researcher at the ANZIC-RC from 2013 to 2014. Dr Seppelt is a Senior Staff Specialist in the Department of Intensive Care Medicine, Nepean Hospital and Sydney Medical School, University of Sydney; Honorary Senior Research Fellow, The George Institute for International Health, Sydney; and Advanced Scholar and Clinical Senior Lecturer, Australian School of Advanced Medicine, Macquarie University. He is a Board Member and Secretary of the Australian and New Zealand Intensive Care Society Clinical Trials Group (ANZICS-CTG). He is a Management Committee member of the ANZIC-RC's INFINITE and SPICE studies, the Bacteraemic Load in Septic Shock (BLISS) study through the NHMRC CCRE in Critical Infection, and the ANZICS-CTG Point Prevalence Program. He is the ANZ lead for the international Selective Decontamination of the Digest Tract (SuDDICU) research program. Dr Seppelt's research interests include clinical research ethics, the clinical management of severe sepsis, neurotrauma, intensive care sedation and echocardiography in intensive care. He is a part owner of a very nice vineyard and is professional horse transport technician for his children. Markus Skrifvars is a Specialist in Intensive Care at the 18 bed ICU at Helsinki University Hospital and Professor of Emergency Care at the University of Helsinki. From 2016-2017 Prof Skirfvars completed a one year senior research fellowship at the ANZIC Research Centre in the School of Public Health and Preventive Medicine at Monash University. After completing his anaesthesia training in 2008, Markus Skrifvars completed an ICU fellowship, training at Liverpool Hospital in NSW, Australia in 2008-2011. After that he trained in Neuro Anaesthesia and Neuro Intensive Care as well as General Intensive Care at Helsinki University Hospital. His research has focused on ICU care of patients with cardiac arrest, as well as traumatic brain injury. He has >65 original research papers published to date. Prof Skrifvars supervises several PhDs in both clinical, epidemiological and in experimental animal work. He was the national principal investigator in Finland for the ANZICS-CTG EPO-TBI trial (Lancet 2015). He is a member of the steering group for the TTH48 trial, a trial comparing 24 and 48 hours of therapeutic hypothermia treatment following cardiac arrest, as well the senior investigator for the COMACARE pilot trial focusing on oxygen, carbon dioxide and blood pressure targets in cardiac arrest patients. While at the ANZIC Research Centre he focused on the post hoc studies of the EPO-TBI trial, as well as several other projects. Mr Mick Stephenson is Regional Manager and MICA Paramedic with Ambulance Victoria (AV) and a Sessional Lecturer at Monash University to MICA paramedic and AAV students. He is also a current Board Member (Director) and Committee Chair of the Emergency Services and State Superannuation Fund. Since 1996, he has worked for Ambulance Victoria with responsibilities including management of all aspects of ambulance in Gippsland , AV liaison role for major clinical trials of international significance; delivery of MICA road ambulance response for the Melbourne Metropolitan region; management of industrial relations issues for the MICA group and AV generally; serving on key AV committees such as Medical Advisory Committee, AV Board of Studies and the Credentialing Committee; provision of reports on MICA status and activity for the CEO, Committee of Management and Government; and to develop relationships and mentoring processes for rural MICA Team Managers with the metropolitan MICA Team Managers. Mr Stephenson has qualifications in emergency medicine and intensive care nursing. Mr Stephenson is a Management Committee Member on the ANZIC-RC's POLAR-RCT (Prophylactic Hypothermia Trial to Lessen Traumatic Brain Injury - Randomised Controlled Trial). In 2015, Mick was the recipient of an Ambulance Service Medal, in the Australia Day honours, for his distinguished service to Ambulance Victoria. Ms Shirley Vallance is Clinical Research Manager, Intensive Care, The Alfred Hospital. As an Investigator and/or Management Committee Member on several current ANZIC-RC studies including the EPO-TBI, PHARLAP and TRANSFUSE studies, Ms Vallance has had a long and productive collaboration with the ANZIC-RC. Since 2001, she has been involved in clinical research in intensive care at The Alfred Hospital, and prior to that was the Research Officer on the Consultative Committee on Road Traffic Fatalities, Victorian Institute Forensic Medicine. Ms Vallance also has training and experience in intensive care nursing, and a Masters degree in Clinical Research Methods. Ms Vallance is an author on 14 publications, mostly multi-centre clinical intensive care research, including publications in prestigious journals such as the New England Journal of Medicine. She was an investigator on 12 additional publications. Ms Vallance was an invited speaker at conferences including the International Neurotrauma Symposium in Rotterdam, The Netherlands. She is a reviewer of endorsement applications for the Australian and New Zealand Intensive Care Clinical Trials Group (ANZICS-CTG). Ms Vallance is a member of the Australian and New Zealand Intensive Care Society (ANZICS), the Australian and New Zealand Forensic Science Society and the Women in Neurotrauma Research Association. Ms Tricia Williams is a Donation Specialist - Nursing Coordinator at DonateLife South Australila. Previously she was the Research Project Nurse and Blood Gas Laboratory Manager, Department of Intensive Care Medicine at The Queen Elizabeth Hospital (TQEH), South Australia, and Affiliate Lecturer in the Discipline of Acute Care, School of Medicine, Faculty of Health Science at the University of Adelaide. Ms Williams was an Investigator and/or Management Committee Member on several ANZIC-RC studies including the ARISE randomised controlled trial and the ARISE health economic evaluation, STATINS, INFINITE and Fresh Blood studies. Ms Williams's qualifications include a Bachelor of Nursing Practice and several advanced courses in critical care nursing, and she is also a Registered Nurse. Since 1997, she has been involved in clinical research in intensive care at TQEH, initially as a Clinical Research Nurse, and since 2006 as the Research Project Nurse and Blood Gas Laboratory Manager. During that time, Ms Williams has been an Investigator on 38 research studies. Ms Williams has been an author/investigator on a number of publications, mostly multi-centre clinical intensive care research, including publications in Anaesthesia and Intensive Care. She was an invited presenter at the Australian and New Zealand Intensive Care Clinical Trials Group (ANZICS-CTG) Annual Scientific Meeting in 2010 and 2011. Ms Williams is an Executive Committee Member of the Intensive Care Research Coordinators Interest Group (IRCIG), and is also a member of the ANZICS-CTG and the Royal Australian Nursing Federation. Ms Wills joined the ultrasound team at the Alfred Hospital in Melbourne in 2005. Her role as Chief Sonographer has been to supervise and develop clinical guidelines, increase the involvement of the ultrasound department with research projects, and to introduce a training programme for sonographers, radiology registrars, and medical students. Over the past eight years Judy has been Chief UltraSonographer (CUS) for critical care trials including PROTECT, RELEVENT, and EPO-TBI. In addition to the critical care trials, the sonographers have been involved in numerous studies, including the use and positioning of various IVC filters, renal denervation and other treatments for hypertension, medical treatment of haematological disorders, ultrasound assessment of bowel changes associated with Crohn's disease, and the assessment of fibrosis and fatty liver disease in patients with NASH and NAFLD. Ms Wills has been an invited speaker at numerous National Australian Sonographer Association Conferences, and was involved in writing the curriculum for the Monash University post-graduate degree in Medical Ultrasound.